Unemployment fell 1.1 percent in April to 5.8 percent from the same period in 2015. Clark County’s unemployment rate rose from 5.9 percent in March to 6.2 percent in April. But the rate fell by 0.8 percent from April 2015. Taxable sales grew, gasoline sales and total passengers coming in by plane in a yearly analysis, at 3.1, 1.4 and 3.2 percent, respectively. Statewide visitor volume increased 0.6 percent. However, gaming revenue fell 2.4 percent in April from a year earlier. Clark County gaming revenue decreased 5.5 percent in April from March. Year-over-year, the number fell 3.9 percent. The passenger count coming into McCarran and visitor volume in Clark County fell from March to April, but rose year-over-year in both months: 3.4 percent rise in March 2016 over the same period last year and 0.6 percent in April. In Clark County, residential housing permits rose by 26.5 percent from March to April 2016. Faraday Future has announced plans to become the core technical partner and title sponsor for Dragon Racing, a Formula E team—a new Federation Internationale de l’Automobile championship featuring cars powered by electric energy. The team will be renamed Faraday Future Dragon Racing. The partnership is set to initiate at the beginning of the third season of Formula E at the Hong Kong ePrix in October. The move is a continuation of Faraday’s interest in the sport. Earlier in 2016, Faraday was the title sponsor for the Formula E Long Beach ePrix. After that, Faraday pursued a path to compete through the Dragon Racing organization. 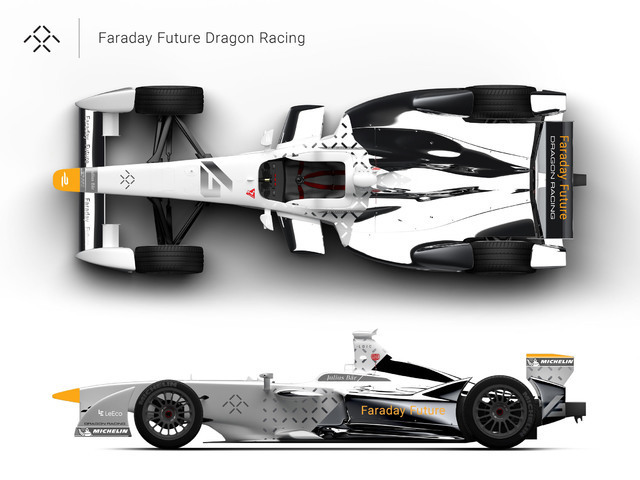 Faraday Future and Dragon Racing will work to maximize performance of the vehicle’s powertrains during the upcoming season. The team will also work to improve data acquisition and analytics to improve vehicle simulation models. In the following season, the team will work to implement Faraday powertrain components, software, firmware and other hardware. Phoenix-based PikFly recently expanded its mission to partner with small, local brands on delivery of food and alcohol to Las Vegas. In a partnership with Mariana’s Supermarkets, which has four locations throughout the city, local delivery is underway. “We are extremely excited to be offering our customers a new way to order from our stores, while expanding our reach with new customers into different areas of Las Vegas,” said Ruben Anaya, Mariana’s Marketplaces chief operating officer. Hungry or thirsty customers can head to pikfly.com or order through their mobile device. Once an order is placed, an order is sent out to a certified driver—which the company has dubbed “navigators.” The driver picks up an order and delivers it in about an hour, PikFly said in a statement. Also in the statement, PikFly said it planned to expand the delivery of hot food from its local partner Mariana’s and other locally owned restaurants.